We are pleased to announce five off-campus locations: Fort Wadsworth, Fort Hamilton, the United States Coast Guard Sector New York at Jones Beach and the United States Coast Guard Stations at Moriches and Shinnecock. Each of these locations are open to all professional students. Fort Hamilton classes will be held in the education center, located at 218A Marshall Drive in Brooklyn. Fort Wadsworth classes will be held in Room 204 of the gym building located at 204 Molony Drive in Staten Island. Note: Students must have valid ID in their possession during classes. 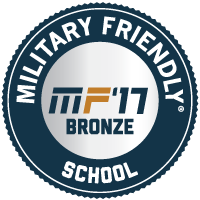 Priority registration for these classes will be given to military servicemembers, their dependents and Department of Defense employees. In compliance with federal regulations, the College restricts fraudulent and aggressive recruitment of military students, including but not limited to, providing compensation to individuals for securing military enrollments or engaging in high-pressure recruitment tactics. For additional information or to register for classes at Fort Wadsworth or Fort Hamilton, contact Angela Diaz at 718.940.5719. For additional information or to register for classes at Moriches, Jones Beach or Shinnecock Coast Guard Stations, contact Erin D'Eletto at 631.687.2678.